It would be churlish not to recognise the rôle played by Nigel Farage in securing the EU Referendum. I’m pleased too that the Brexit campaign now has the infectious chutzpah of Boris Johnson and the principled thoughtfulness of Michael Gove. 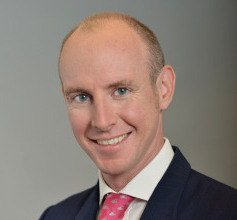 However, when we vote for freedom and democracy on 23 June, the politician who will most deserve our thanks is Daniel Hannan, MEP for South East England. A lot of politicians talk loftily about democracy and yet despise it. The right thinks that the electorate votes Labour out of unreflective habit and the Left thinks that people vote Tory because they enjoy the suffering of the poor. So perhaps one of the reasons that the EU is so popular with so many politicians is that it manages to get by with almost no democratic ‘interference’ at all. Eurocrats tend to dismiss the will of the people as ‘populism’, even as they crave (and pretend to have) a democratic mandate. Dan is therefore unusual. He is a politician who is genuinely in love with democracy. Not only does he cherish the democratic freedoms that we already have, he thinks we should have more. More political decisions should be made by the people, through the ballot box, and fewer should be left to politicians (or worse, unelected ‘experts’). 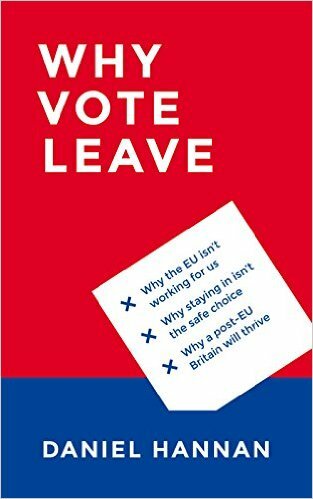 If you have not done so already, I urge you to buy Hannan’s book, Why Vote Leave? A proper book is £6.99 and the Kindle edition is a fiver. For £3.99 you can buy the audio download and hear the great man reading himself. BUY IT, read it, tweet it, lend it to your friends. There are some good articles on The Telegraph website — indeed Hannan used to be a leader writer and blogger at the Tel, back in the days when it was a good newspaper. Then there is his YouTube channel. What you will notice, both in his book and in his other writings, is an almost total lack of either pessimism or racism — traits which often inform eurosceptic opinion. He is a lover of European languages, cultures and peoples. Unlike many enthusiastic europhiles, he is fluent in French and Spanish. His reasons for wanting to leave the EU are not petty tirades about bent bananas, but clear and compelling pleas for power to be given to the people. He is pro-market, certainly, but he recognises better than most that this is not the same as being a corporatist. I could go on, but I’d rather you spent your time reading the book.